Over the door of the Warwick Hotel in Salthill, Galway, on the west coast of Ireland, sits a very old and unusual typographical mark. 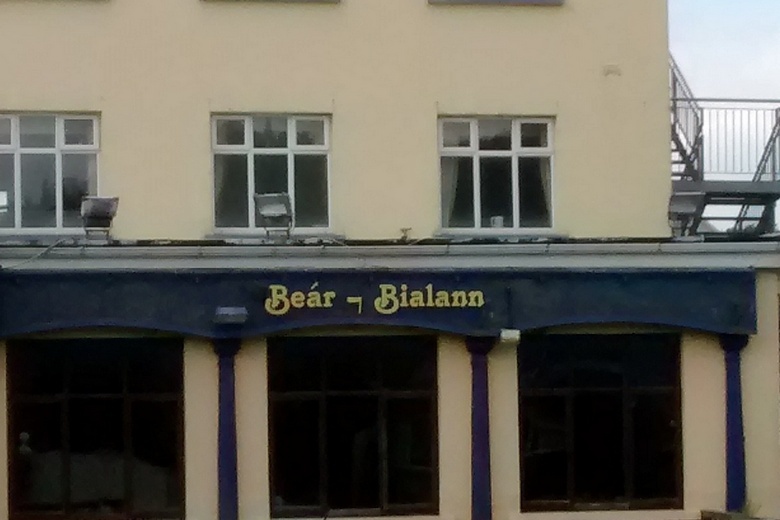 Between Beár (bar) and Bialann (restaurant) there is a Tironian et (⁊), Latin for and. The Tironian et is a remnant of Tiro’s shorthand system, which was popular for centuries but is now almost entirely discontinued. The mark lives on in just a couple of writing systems, one of which is Irish. Time for an update on my recent writing for Macmillan Dictionary Blog, where I have three new articles to report. only when both items in a collision are moving. So if you cycle into a stationary gate, that’s not a collision, but if the gate is swinging at the time, it is a collision. Maybe you find this logical somehow – or maybe, like me, you think it’s awkward and silly. Or it would be, if it were an actual rule. In the article, I summarise the history of this belief, how it was spread by Bill Bryson and Theodore Bernstein, among others, and what usage experts say about it. As I go on to show, it’s not just words and short phrases that get fossilised: entire sentences do too, for example if they’re tied to some popular ritual or tradition. The two spellings’ coexistence – some call it competition – is not unusual: witness appendixes and appendices, formulas and formulae, millenniums and millennia, referendums and referenda, stadiums and stadia, and thesauruses and thesauri, all used regularly. Neither one in any pair has ousted the other, though some eventually will. Millennia overtook its rival in the 1930s and is likely to maintain its supremacy. There are no hard and fast rules about which plural to use and when. In certain cases the Latin is more formal or even affected, but not predictably so. Occasionally the two spellings differentiate in meaning. See if you can think of examples of this last phenomenon, where the Latin plural and the anglicised plural of the same word have diverged semantically. 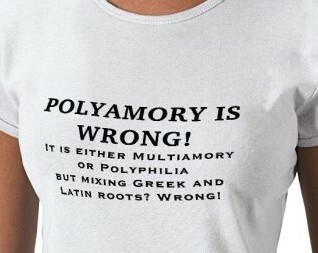 Then read the rest for data on Latin plurals becoming English singulars, and other such fun. The word hybrid (from Latin hybrida, ‘mongrel’) commonly refers to animals and plants of mixed lineage, and more recently to vehicles with two or more power sources. In linguistic morphology it refers to a word formed by combining elements that originated in two or more languages. The process is called hybridization. There is a tendency for like to join with like, but because affixes from other languages are so well-established in English, and their origins are not widely known, etymological affinity is not routinely observed when words are formed. English has always added foreign bits to native bits, and both to other foreign bits. It does this in its sleep. Hybrids are ubiquitous: they ‘luxuriate in the English word-garden’, as Simeon Potter put it. A familiar example is television, which (via French) yokes Greek tele– ‘far’ to Latin visio ‘seeing’. Neuroscience joins Greek neuro– ‘nerve’ to science, from Latin scientia ‘knowledge’. Other hybrids include automobile, hypercorrection, lovable, merriment, monolingual, sociology, and talkative. 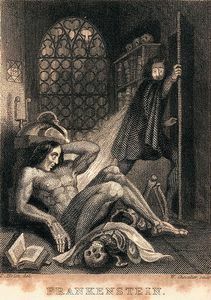 Frankenstein’s monster reads a hybrid word and collapses in a daze; Dr F. flees in fright and disgust. Eric Partridge, in Usage and Abusage, said neologisms should avoid ‘unseemly misalliance’ and pay heed to ‘etymological decency’. Ralcy Husted Bell called jeopardize ‘a monster’, which seems a bit harsh. These phrases give the impression that hybrids are malformed abominations, hideous chimeras to be shunned and disowned. like other manufactures, should be done by those who know how to do it; others should neither attempt it for themselves, nor assist the deplorable activities of amateurs by giving currency to fresh coinages before there has been time to test them. Homogeneity of language origin comes low in [language users’] ranking of priorities; euphony, analogy, a sense of appropriateness, an instinctive belief that a word will settle in if there is a need for it and will disappear if there is not — these are the factors that operate when hybrids (like any other new words) are brought into the language. This to me is a more sane and tolerant stance, free of purist dogma and control-freakery. Rejecting hybrids in English just because their parts’ ancient origins don’t match is pointless peevery. Bryan Garner, in his Dictionary of Modern American Usage, writes that nowadays ‘only a few Classics professors’ object to them. Let us be thankful for that. My only regret is that hybrid is not a hybrid and so does not describe itself the way portmanteau does. But it’s probably too late to do anything about that. This post also appears on the Visual Thesaurus. Scientific names of organisms are not usually known for their entertainment value. They are indispensable for clarity in communication, but most people skip over them with barely a glance. Here I collect those names that are worth a second look. And what a collection it is. Virtually every page offers an eye-opening, smile-inducing specimen – often several of them – with succinct and edifying commentary. You’ll find funny facts, strange stories, verbal delights and historical oddities. The site is divided into sections such as Etymology, Puns, and Wordplay, and its many sub-pages amount to a feast of fine browsing material, which is regularly updated. An example of its taxonomic lore: I learned that Piseinotecus divae, a nudibranch,* gained its peculiar name after an incident in which one of its discoverers “stepped on [a] dog on the way to the kitchen in the middle of the night”. Apparently, Piseinotecus means “I stepped on Teco”, Teco being the name of a dog that belonged either to a diva or to Professor Diva Corrêa. 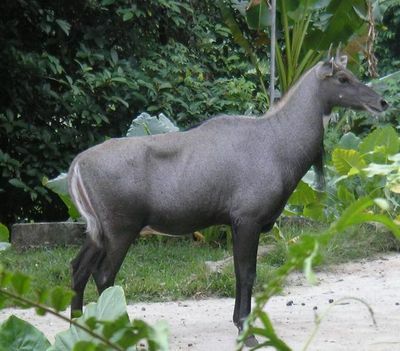 Chimera fans will appreciate Boselaphus tragocamelus (an antelope, pictured below) whose Latin name translates as “ox-deer goat-camel”; Chaetopterus pugaporcinus (a marine worm) is a “Chaetopterid worm that looks like the rump of a pig” (judge for yourself); while Vampyroteuthis infernalis is, more B-movie-ishly, the “Vampire squid from Hell”. Pun names include Apopyllus now (a spider), Daphoenus demilo (an extinct bear dog), Heerz lukenatcha (a braconid), Pieza deresistans (a fly), and Verae peculya (another braconid). Offensive names are officially prohibited, but insults and imprecations slip through, sometimes cryptically. Other names are inadvertently indecent. There’s the beetle Foadia (its offence is acronymic), Fukuia (a snail), and Silybum (milk thistle). They get much ruder. Under “Valid Words in Other Contexts” we encounter an insect named Alienates, a beetle named Euphoria, a sea urchin named Disaster, a spinosaur named Irritator, a snail named Provocator, and an arachnid named Oops. Among the Long and Short Names in the Wordplay section, I met Polichinellobizarrocomicburlescomagicaraneus for the first time; unfortunately, its identity remains a mystery. One page is dedicated to Drosophila melanogaster’s noteworthy gene names, which include currant bun, faint sausage, karst, prospero, skittles, snafu and splat. There are anagrams and tautonyms, rhymes and reversals, onomatopoeia and oxymorons (e.g., Anoura caudifera, the tailed tailless bat). Names of living things are often redundant and are subject to ongoing revision. One reason for their proliferation is that some namers are “splitters” rather than “lumpers”. All the more reason to be grateful for a website that records and aggregates some of the most interesting and entertaining names in biology. * Nudibranchs are sea slugs from paradise. Minuscule’s main use is as an adjective meaning tiny or insignificant. It can also mean written in minuscule (= minuscular), referring to a small cursive mediaeval script. Minuscule as a noun can refer to this palaeographic writing or simply to a lowercase letter. * But its general use as an adjective is what we usually encounter, and it’s the variation in its spelling (minuscule or miniscule) that interests me here. The word comes from French minuscule, from Latin minusculus, fem. minuscula, as in minuscula littera, ‘slightly smaller letter’. Minuscula is formed by adding the diminutive suffix -cule to minus, neuter of minor — ‘less, smaller’ — from Proto-Indo-European *mei-, ‘small’. The common prefix mini- has probably lent minuscule a folk etymology that influences its contemporary spelling: miniscule is a popular variant. Pronunciation might also have played a part. Miniscule occupies a grey area of legitimacy and is likely to attract criticism. Some call it non-standard; others dismiss it as an error. Bryan Garner rejects it, MWDEU doesn’t, while The Columbia Guide to Standard American English sits on the Fence of Judgement but advises the uncontroversial spelling minuscule. The OED says miniscule is ‘very common but regarded as erroneous’; Oxford Dictionaries considers it an acceptable variant. Unless you’re prepared to argue miniscule’s case, you’re better off avoiding it. If you want to remember the more correct form, think of its old association with minus, or tell yourself that minuscule is preferred by us. * Its counterparts are majuscule (n., adj.) and majuscular (adj. ).